Just shy of £100,000 of taxpayers's money was spent on inaccurate GDPR training by the House of Commons. Misinformation about GDPR compliance means potentially thousands of pieces of legitimate electoral data were erroneously deleted. Managing the GDPR properly means understanding not only what data should be deleted by your business, but what you can and should be retaining. The House of Commons paid £97,500 for GDPR consultancy training from IT Governance without initiating a public tender. 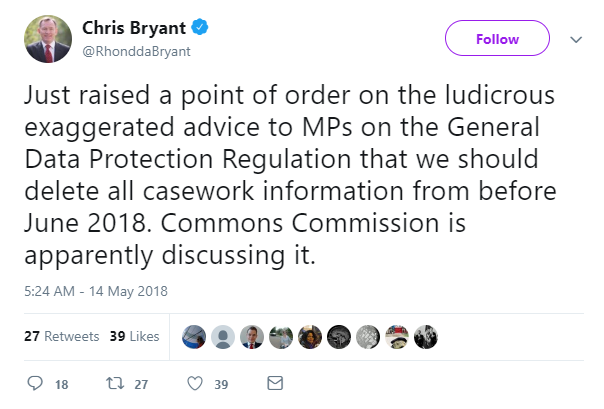 Several MPs, including Bryant and Labour shadow minister Chi Onwurah, complained of inaccurate and overly zealous GDPR advice, which included giving the impression that all electronic constituency casework from before the 2017 general election had to be deleted by MPs. To be told – as my staff were – that we shouldn’t keep data on constituents more than two years unless you could prove it was necessary, and certainly not more than an election, didn’t seem to show any understanding of either how MPs work or GDPR. I was concerned about it. The GDPR is not about deleting all the personal data you hold and process as soon as it is two years old, nor is it about cleansing all data without immediate relevance or applicability. Clearly, an MP holding personal data of his or her constituents, even after a general election has come and gone, is not only legitimate - "my constituents expect me to have their previous details when they visit," argued Bryant - but in the public democratic interest, and is vital for the exercise of official authority i.e. an elected MP's relationship with his or her constituents. The House therefore had every right to keep the data that it deleted. 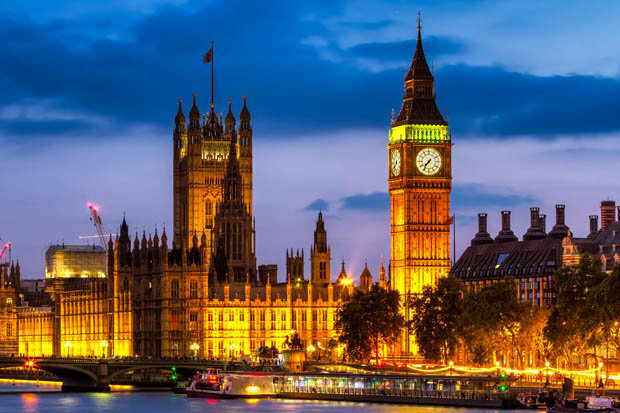 The GDPR has been in force for a little under a month - if, like most businesses, you're still making the steps towards full compliance, don't follow the House of Commons's lead. A kneejerk, no-risk purge of data isn't the way to go - in fact, unnecessary deletion of data where retention is needed for ongoing and future work is a breach of data protection, not an enforcement. For more information about the GDPR, download our free toolkit.